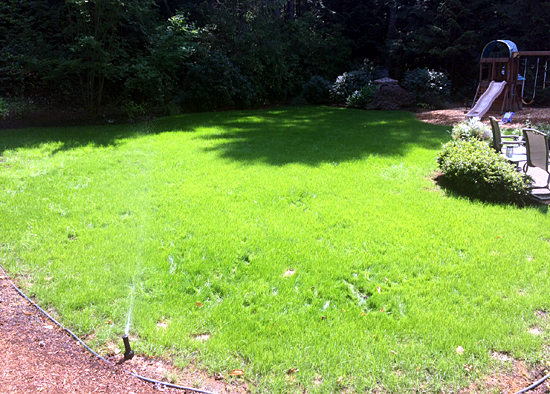 This is what a brand new lawn looks like from hydroseed. 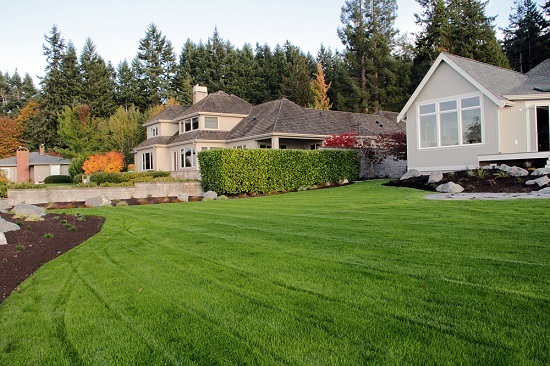 To keep a lawn looking this good, what’s required is: healthy soil, good drainage, consistent mowing, consistent watering especially during drought periods, fertilizer 3-4X per year, and sunlight. 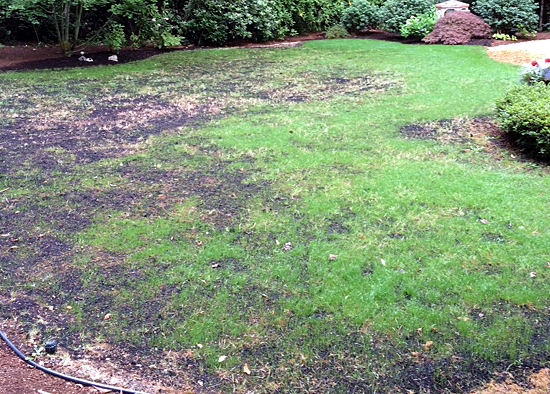 Wondering what’s up with the brown spots in your lawn? An irrigation head is watering an area covered in thatch, and as a result, water doesn’t absorb into the soil. The irrigation system was mapped in such a way that coverage is low in areas that are now brown. The nozzle shoots water out too far and lawn areas closest to the head aren’t being hit. The nozzle is clogged or a head is misaligned. 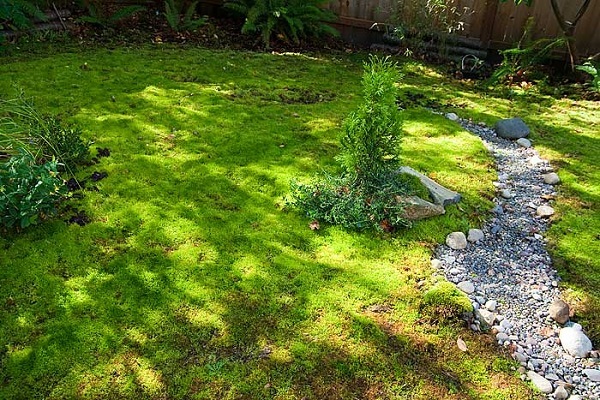 The lawn is on a slope and water drains too quickly. 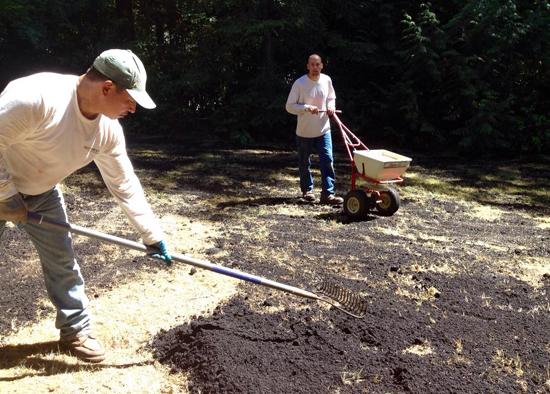 Droppings from nearby trees create acidic conditions in the soil, causing the lawn to brown. 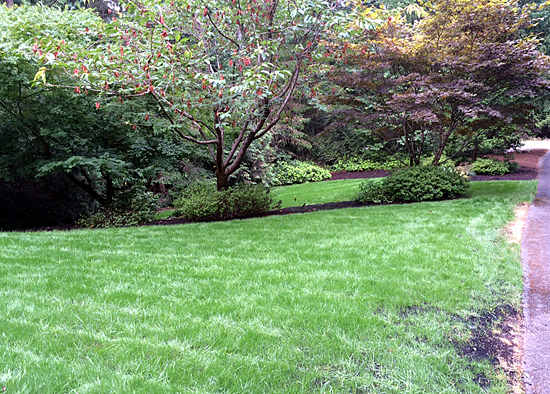 If a lawn is over a drain field, there may be too much sand in the soil causing water to drain too quickly. 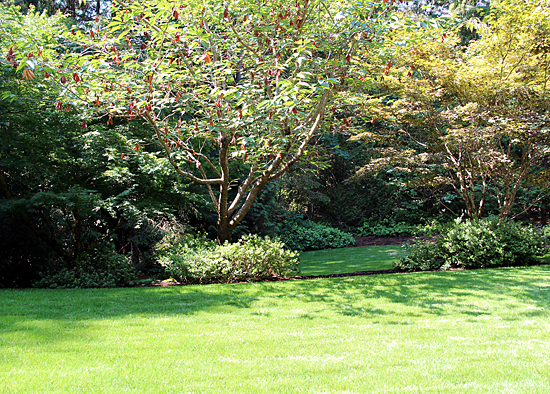 Some solutions to fix the brown spots in your lawn are easier and less costly than others. 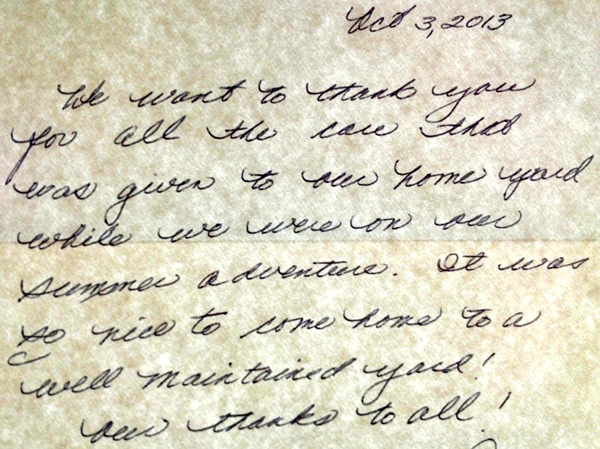 Give us a call or send us an email for an estimate to rehabilitate your lawn.